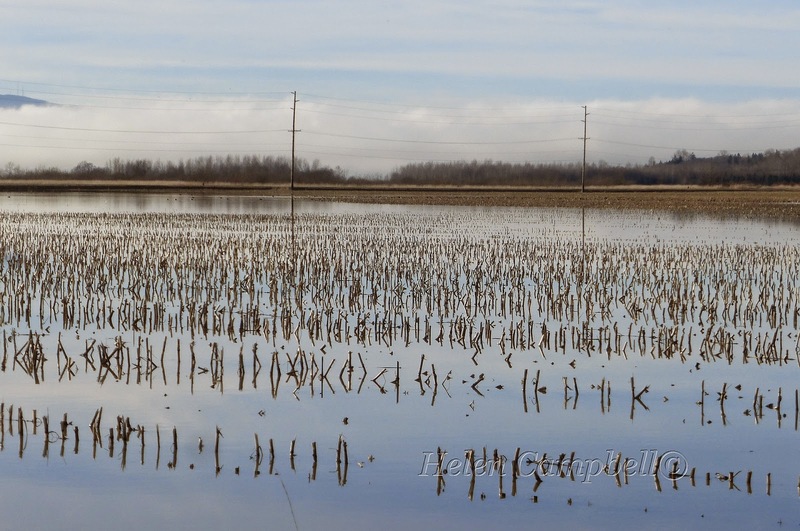 Reflections of a flooded cornfield on the Lummi Flats. The stalks reflected look a bit like hieroglyphics to me. I've become enamored with the reflections I've seen in our rainy winter... and blessed with a few days without precipitation to get out and photos (while walking or bird watching). First in the series is here.